Game is in japanese, once again, so your are now used to it. Use Locale Emulator if you have any font problems. Dump includes hacked exe and dlls, and a launcher taking care of path and enabling ESC for quitting. 2) OR just put the extracted files on D: drive in a folder named E99 ( D:\E99 ), and run the LAUNCHER from here. If you want to run the exe by yourself, then in D:\E99\bin, run the "game.exe" to play windowed or launch "game.exe -f1 --timerfps 60" to play fullscreen. Note that there is 2 launchers atm, one for windowed mode and one for fullscreen. This game is pure fun especially when you play with friends, 3 players can join. Some users had an error when booting, it was due to webcam missing or not compatible. See below. CAMERA: this cab can take some picture of you and you're ennemies playing together and being so awesome! Look in SERVICE MENU if your webcam works. Mine was fully working without doing anyhthing. If you happen to take pictures in-game, you can find the crappy bmp in save folder. RED, GREEN and BLUE. I mapped them in line on keyboard, as they are on cab. NETWORK: Network is disabled and all e-Amusement messages have been patched to be hidden. Please note that files are modified and that will not properly work on a REAL cabinet. did you read the read-me? try deleting avs00000.bin in bin directory. then you can try deleting everything in save directory. 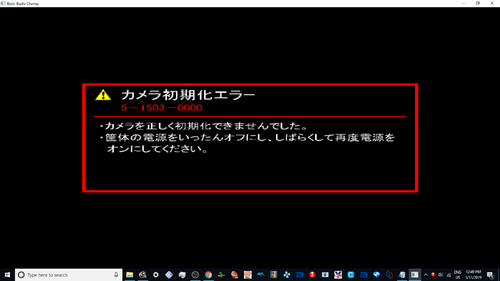 i translated 5 -1503 - 0000 error and that is camera error i think. · I can not correct my force correctly at Nani. Thank again Mohkerz for this work. This is because they not have a webcam connected to their PC. Under W7 64, I obtained the exact same errot screen if I disconnect my webcam from the PC. I did not encounter this error as my webcam was flawlessly recognized. So if you got this 5-1503-0000 Error, just connect a webcam or use the following files where it is disabled. First message here, I heard this game added 2 mini games a month and total 73 games included. When will the downloadable games be added in this dump? Did you enumerate all included games ? There is a lot more in the game. Yeah definitely great work Mohkerz what will he do next?? Or Star Wars Battle Pod. If you have this kind of error, its because game process is not really terminated, sometimes it hangs when you close. 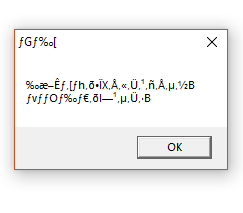 Just open the process manager and kill the game exe process. Then relaunch it should work. wow awesome ¡¡¡ :D :D do you have FAST FURIOUS SUPERCARS mohkerz ?? Transformers has been dumped and also Superbikes 2..
Overwrite the two files in the archive to the existing one. You will be able to start the game on any drive, arbitrary folder. I have tried drive d etc as per Mohkerz instructions, but it keeps getting hidden behind the application. Try using game loader rh it seems to be fine. so is there any way to map the keys for controller ?